Buy online our clothing and fashion fabric Fiocchetto Decoupè Bt3-02. Jacquard fabric with stylized mini gala pattern, original and unusual in blue and yellow on ivory base, for dress, jacket, duster. 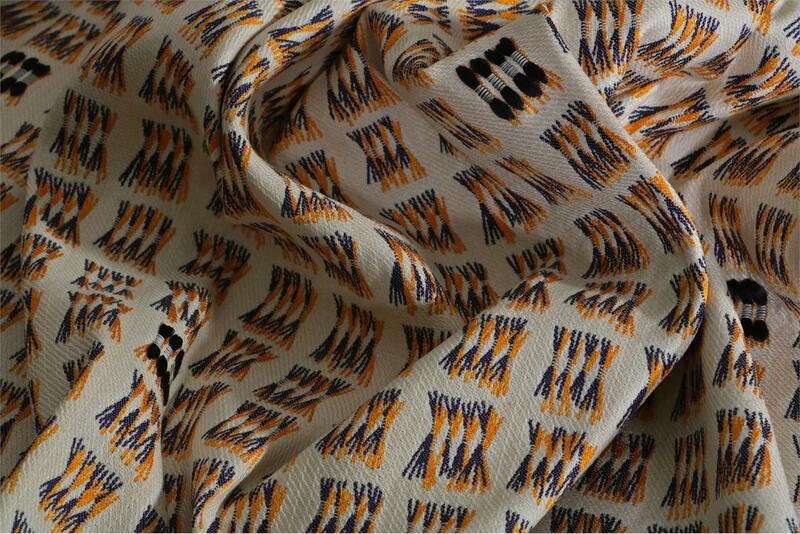 Blue, White, Yellow Mixed Illustrated Jacquard fabric for Dress, Jacket, Light Coat.